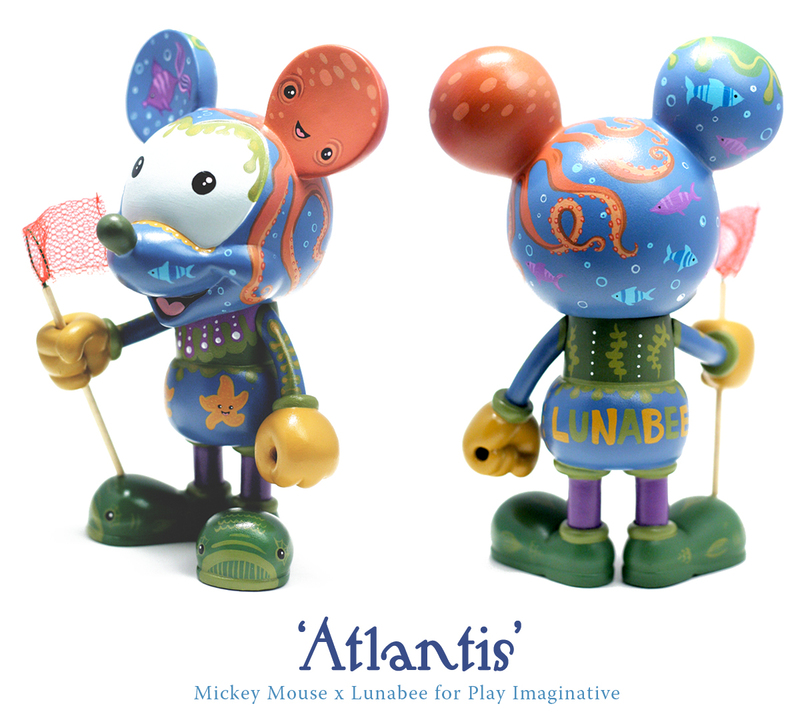 I just finished this show piece for the lovely Play Imaginative and their Mickey Mouse custom showcase in Singapore. I named him Atlantis (for obvious reasons :D ) I am always drawn to underwater themes and creatures (my favorite films include Splash and The Little Mermaid which may explain something) and I'm really happy with the way this little guy turned out and the cheeky twist of his fishing net. More from me shortly, including details on a brand new collaboration - very exciting! New Production Piece : Spiderboom!